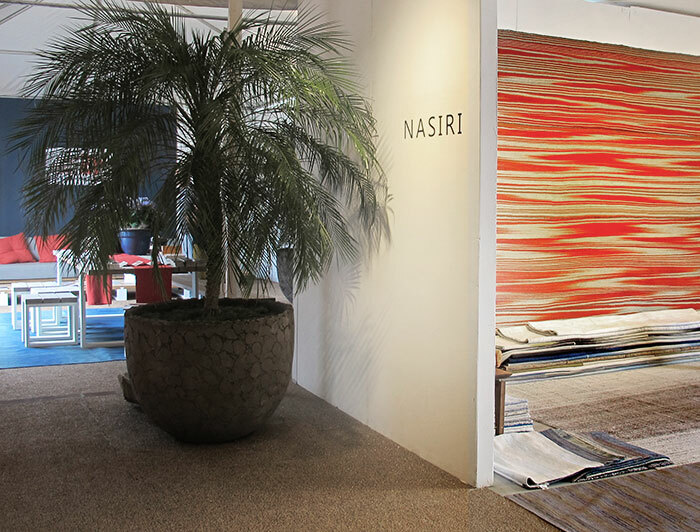 Summer is around the corner and we couldn’t be more pleased about NASIRI’s fruitful spring. We’re proud to say that among other things we have launched a new exclusive collection, won a coveted industry award and participated in several fantastic events and wanted to share the highlights of our season with you, our favorite clientele. Our latest collection is an exclusive assortment of Mid-century modern flat weave carpets inspired by a selection of Iranian vintage rugs. 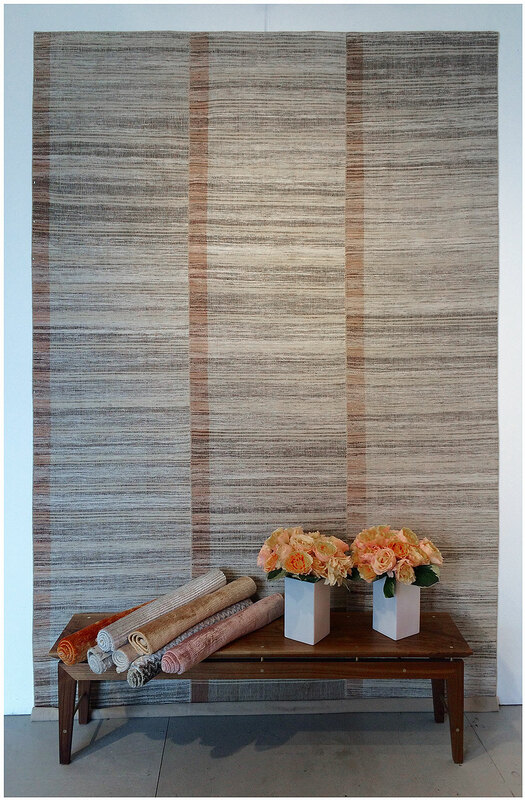 Using fine wool, cotton and goat hair of the highest quality and natural dyes from plants and mineral sources, we combine the much-loved modern design and techniques of the mid-20th century with premium materials and artisanship resulting in rugs that could only be described as contemporary, yet timeless. Similar to our other collections, we can customize the color, material and size of each piece to suit a designer’s vision—If you can dream it, we can create it. We invite you to come see our special collection first hand and discuss customization options at our show room. 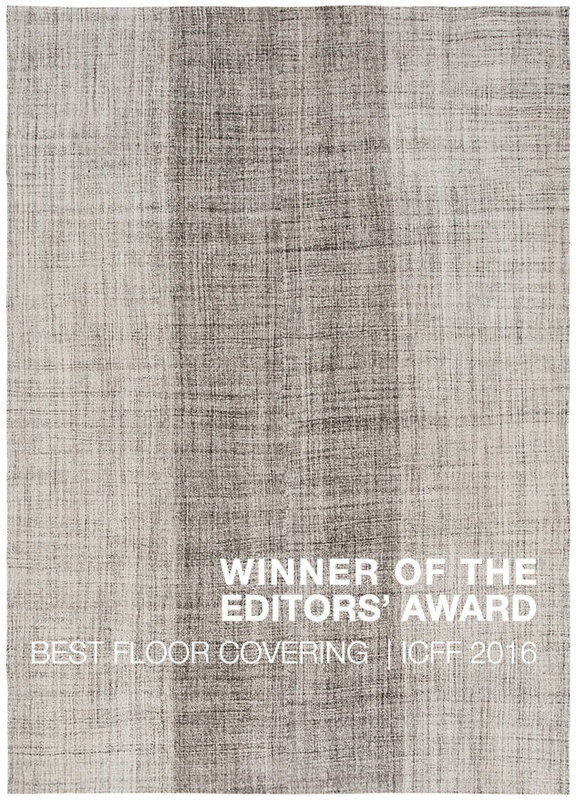 We’re delighted to announce that Nasiri’s Mid-century modern collection was chosen as the best floor covering by some of the industry’s top editors who scouted the dizzying 165,000 square foot space of the ICFF show to select the best and most innovative designs from more than 750 exhibitors. 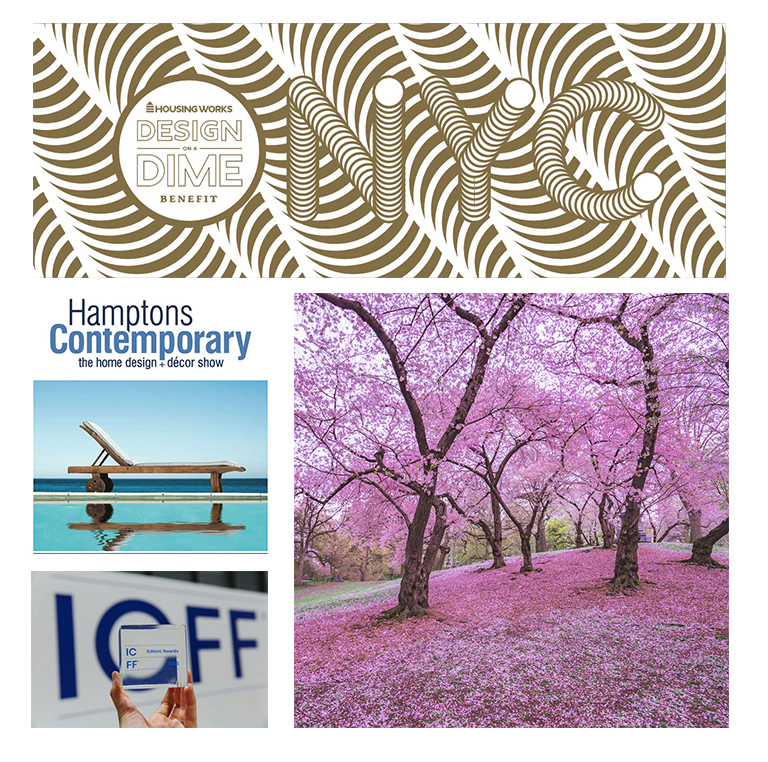 ICFF, a premier showcase for the best in architecture and fine interior design took place between May 14 and May 17 at the Jacob K. Javits Center in New York City and was attended by more than 33,000. 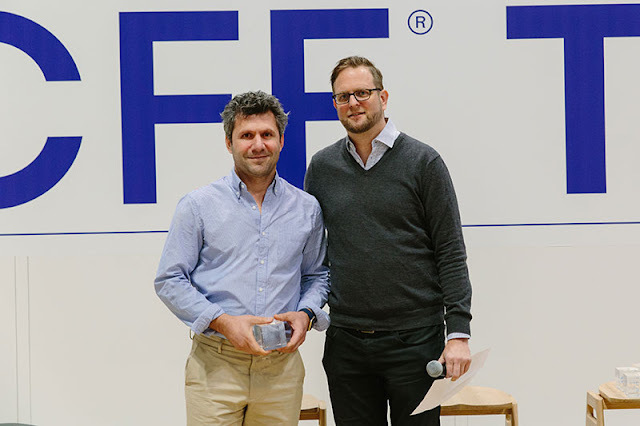 “This select group of designs and designers represent the best of what’s new and what’s next in design around the world,” said Kevin O’Keefe, ICFF Event Director of the 11 exhibitors recognized by the awards. Nasiri Carpets took part in several exciting affairs: In late April for three incredible days, we participated in Housing Work’s Design on a Dime Event where the world’s top interior designers created room vignettes with new merchandise. 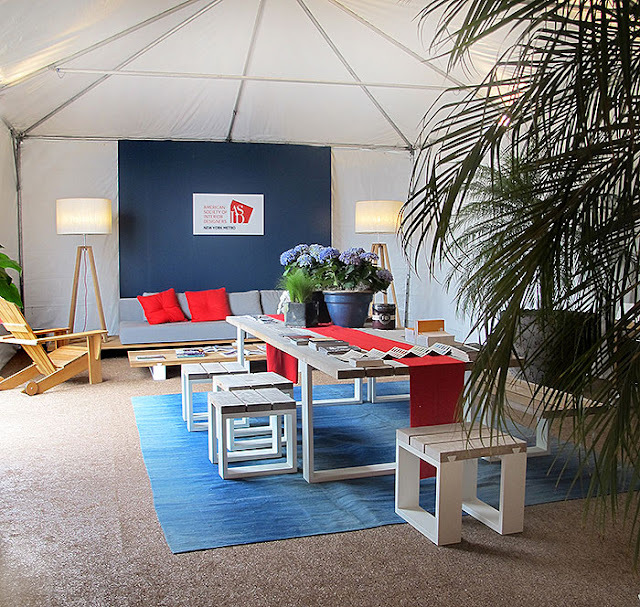 The proceeds from sold merchandise, donated by vendors were used to benefit a new housing development for homeless individuals living with HIV or AIDS. 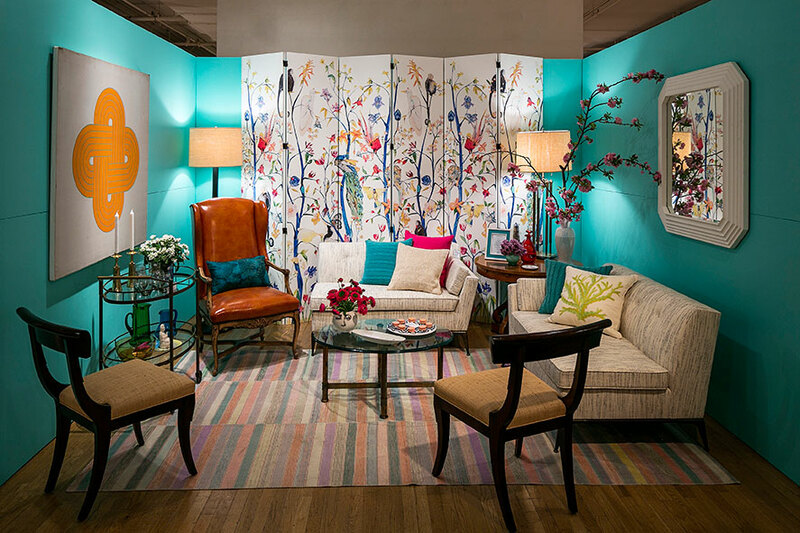 Designers and friends of Nasiri, the Kureck Jones LLC team, used one of our vintage flat weaves in creating a lively, yet peaceful room vignette. 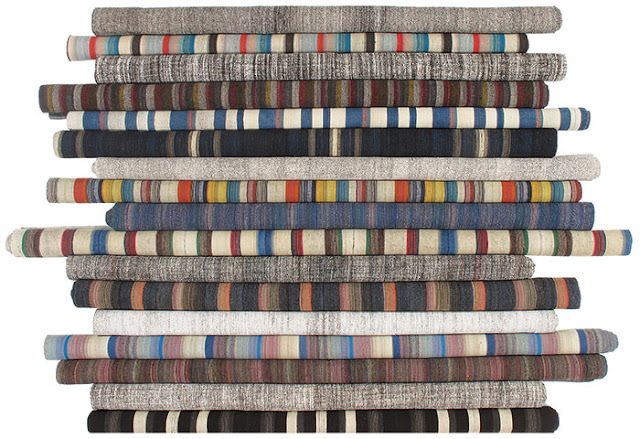 The rug, part of our vintage Pelas collection was a multicolored, cotton piece, originating in Iran. To close out the season we also took part in the inaugural Hamptons Contemporary, the home design and décor fair, which debuted on June 3 and ran through June 5 at the spectacular 40,000 square foot Southampton Elks Fairgrounds. 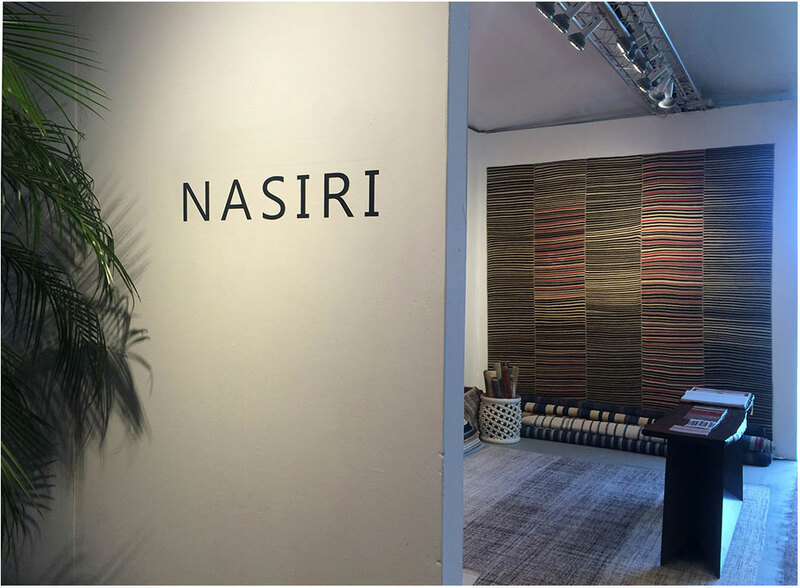 We were honored to have our rugs included in three of 160 exhibitors that showcased innovative and select products in high-end home furnishings and finishing. Interior designers Glenn Gissler, Bonnie J. Steves and Robin Baron—all of whom we consider honorary members of the Nasiri team—used our rugs to decorate the entrance and interior of the American Society of Interior Designers (ASID) space used to host seminars and gatherings for design professionals over the course of the fair. We also got to meet and chat with renowned designers Vicente Wolfe, Mark Zeff and John Barman who were signing books at the event. Learning more about their designs left us feeling inspired and enthused. As spring comes to a close, we look forward to an equally exciting summer and hope to have the privilege of meeting or catching up with you at one of our upcoming events or in our showroom.